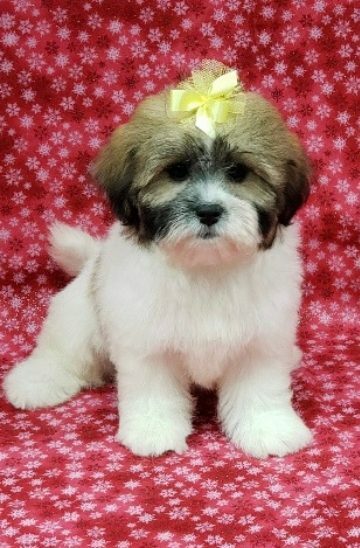 The Teddy Bear dog is a mix between the Shih Tzu and Bichon Frise dog, and can also be known as Shichon or Zuchon. Teddy Bear puppies come in many different colors, black and white, brown and white, and grey and white. They can also come in solid color coats. They have a very friendly nature, very lovable, mild tempered and love to be cuddled. They are hypoallergenic and do not shed, so if there are allergies in the family they would be the perfect addition.